The body is a temple. Many age-old cultures around the globe agree. This principle includes nutrition, as well as a large range of Ayurvedic cosmetic products. Bringing nature and body in harmony, is one of Ayurveda's general goals. Both areas should harmoniously relate to one another because they do not exist separately. 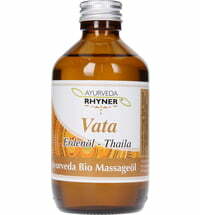 Therefore, the same principles apply to cosmetics and nutrition in Ayurveda. The principles that apply for internal application should apply for external applications too. Therefore, Ayurvedic cosmetics forego synthetic preservatives. To ensure the durability of the products, only materials that are used for food preservation are also used used for cosmetics. These substances include, for example, alcohol or essential oils. Proper skincare and maintenance become more important as one observes the function of the skin. The skin is the largest sensory organ of the human body and is not only responsible for the thermal regulation of the body. It also acts as the natural protection barrier against bacteria and viruses. The skin is always exposed to external environmental influences such as exhaust fumes and the effects of the sun. As such, thorough care is extremely important. In Ayurveda, special care products are available according to each constitutional type. The face is particularly sensitive and therefore requires special attention and care. Ayurvedic facial care includes both thorough cleansing and proper care. First, the pores are opened using a steam bath. This process takes about 10 to 15 minutes. The excretion of waste products are thus stimulated. The steam can be enriched with essential oils. Different oils have different effects: rose and chamomile are soothing and, liquorice is purifying and laurel stimulates the circulation. Thereafter, the face is cleansed. This should be done every morning and evening. The use of soap is not recommended since is destroys the natural protection layer of the skin. A better option would be to use a cleanser. After cleansing apply a facial toner or herbal distillate with a cotton pad to supply the skin with moisture that was lost during the day. Thereafter, apply a cream. It is recommended to use both a scrub and a face mask one a week. 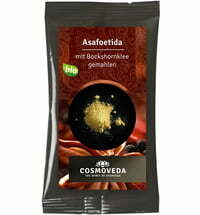 The scrub should be mild, cleansing the pores and promoting blood circulation of the skin. In addition, dead skin cells are removed. Thus, it contributes to accelerated skin renewal. A scrub should not be used too often, to avoid the adverse effect from occurring, which can cause premature skin aging. Facial masks nourish the skin and externally provide the skin with important minerals, vitamins and nutrients that are lost over time. It promotes the formation of skin cells and regeneration of the skin.